When most people imagine themselves in survival situations, they think about what they believe are the essentials to staying alive and staying healthy. 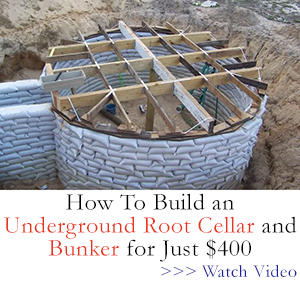 They want to learn how to procure water and food, they want to know how to go undetected by enemies and how to avoid encounters with dangerous wild animals. Often, the last thing on their mind is what their dentist would think about their teeth during a survival scenario. However, healthy teeth are essential if you hope to live well. 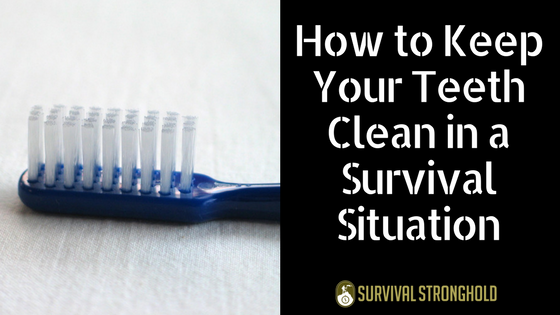 Ideally, you will have a toothbrush and toothpaste in your bugout bag and wherever you plan to stay after the SHTF. However, those brushes can be lost or forgotten, and eventually, you will run out of toothpaste. Fortunately, you can do some simple things that will help to keep your teeth in good shape. You can create a chew stick, which is essentially a makeshift toothbrush made from a twig. You will want to get a twig that’s about eight inches long and about a third of an inch wide. Use a knife or chew on one end of the stick, which will help to separate the fibers. You can then use those fibers to brush with the stick and to clean your teeth. You can also floss with extremely thin pieces of plant fiber. Even rubbing cloth on your teeth and rinsing your mouth can help. If you do not take care of your teeth, they will decay, and this can happen faster than you think once you are not brushing daily. This can lead to infection as well as rotted teeth, both of which will be very problematic when it comes to surviving. Always take steps to make sure your teeth stay as clean as possible, and you might want to stock up on some extra brushes now. What Happens When Hospitals Aren’t Operable? Chilling CIA Warning to American Civilians….